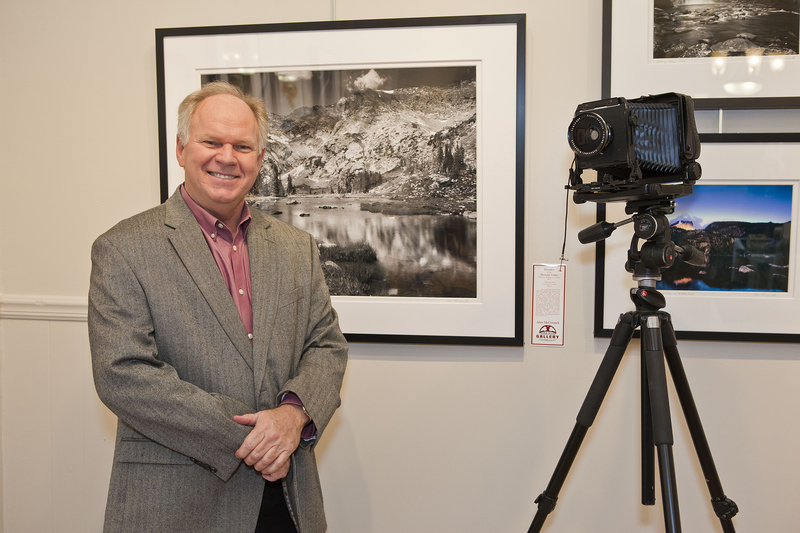 My objective, when it comes to fine art photography, is to produce the highest quality print for display. I believe the best way to achieve this goal is to use a combination of analog and digital techniques. In other words, using the best of both worlds. 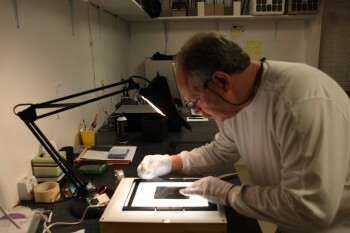 The process of creating a fine art print begins with image capture on film. For the majority of my images, I use a large format camera. This large camera has three distinct advantages over all other cameras. The first advantage would be the camera’s movements, such as tilts and swings. This allows me to alter the plane of focus and not depend on increasing depth of field to achieve maximum focus. By not having to stop the lens down to an extreme point, I can achieve a sharper image. The mechanism also allows perspective control of the image. The second advantage is the size of the film. 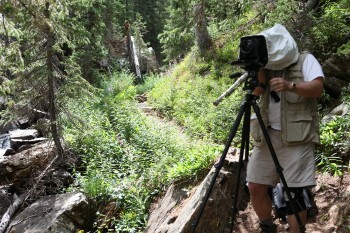 This camera utilizes 4x5 inch sheet film. 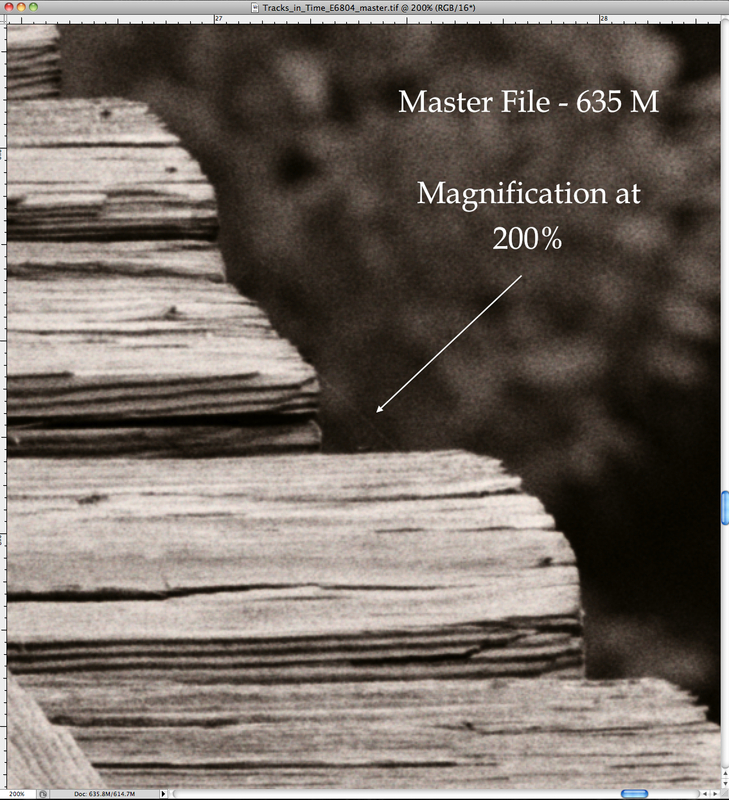 The amount of information that is captured results in tremendous detail and resolution of the image. 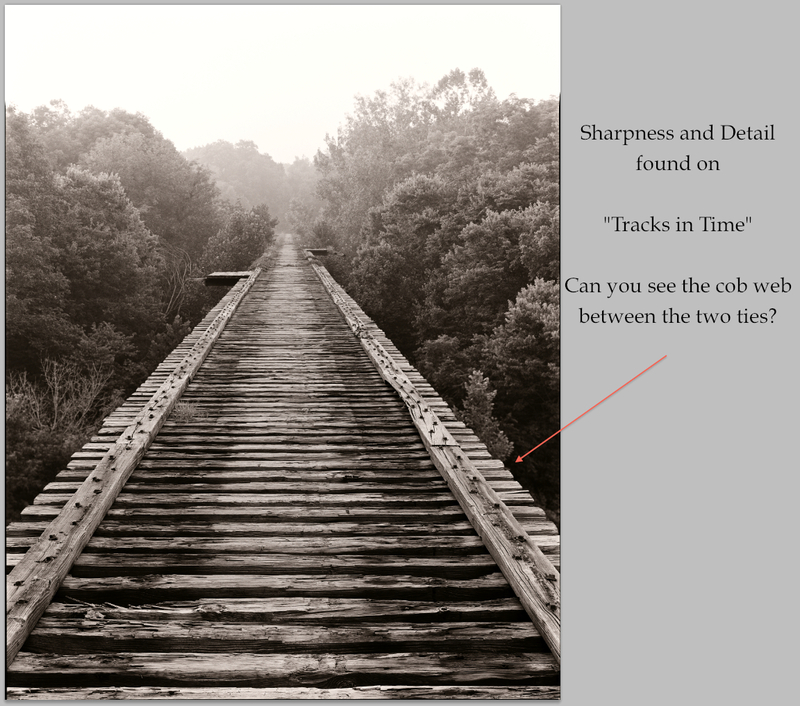 As an example of the detail that can be achieved with the large format camera, compare the two images below. 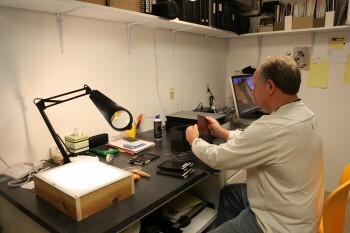 The image below shows me loading the film into the film holders. This is only a demonstration because this is normally done in total darkness. 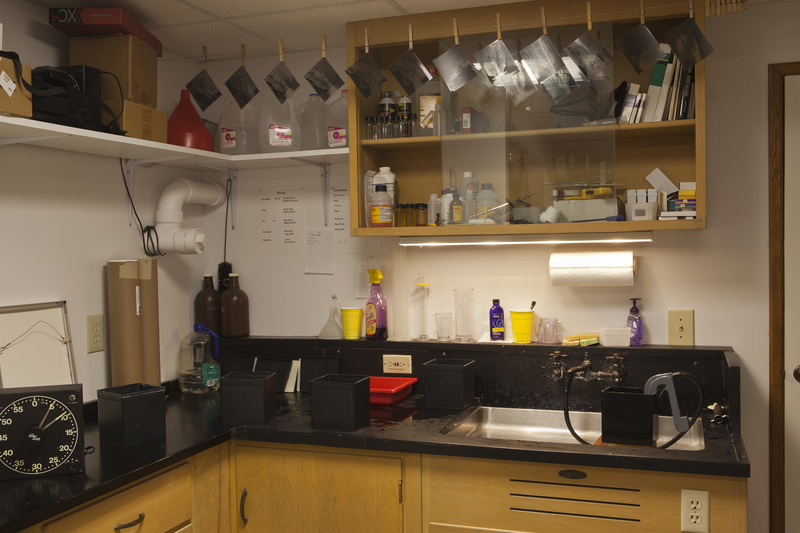 The third advantage is the ability to process, in my darkroom, each individual piece of film using the zone system to achieve the best contrast. Click on either photo to see the 1:50 video. 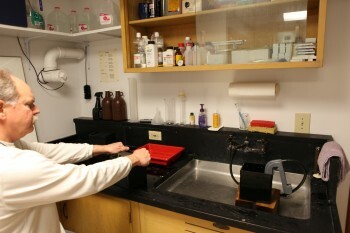 The Wet-Mount Technique for Scanning Large Format Film. 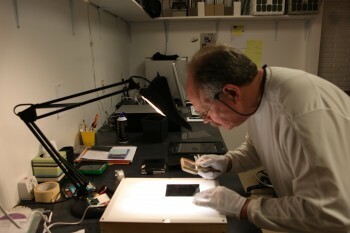 Once this film is developed, it is scanned at a high resolution using a labor intensive wet-mount technique. This method helps prevent the scattering of light that can occur as it passes through air, helping to create a sharper image. Click on either photo to view the 5 1/2 minute video. To ensure the computer monitor is set correctly for color & brightness. The next step replaces the work that I once did in the darkroom. All the dodging, burning, contrast control, and color correcting is now accomplished within Photoshop, primarily using the Curves Tool. The editing control with this method is paramount. A final master file of around 600 MB is created for each image. In this tutorial, I demonstrate how I create my Raw, Guide, Master, & Print files. Click on the image below to see the 12:00 video. Finally, the image is sent to the lab to be produced to my exact specifications. Different photographic print materials may be selected. One of my favorite is using the fine art paper Hahnemühle Photo Rag, as well as Museo Silver Rag, or Canson Platine Fibre Rag. Another alternative is using the Chromira printer. It uses LED lights to produce beautiful prints on light sensitive Fuji Flex paper. Finally, a contemporary, frameless look can be achieved by using either Metal or Acrylic Face Mount materials. Each print may be produced at a desired size. 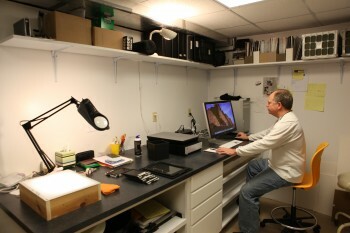 My large format images can be printed up 60 inches without any image degredation. Once the print is made, I will carefully prepare the image for display, using only archival materials. I typically use two layers of 6 ply (not 4 ply) acid free matt board with a spacer in between to add depth. Keep in mind, the Metal and Acrylic Face Mount images would not have an additional cost for matting & framing. 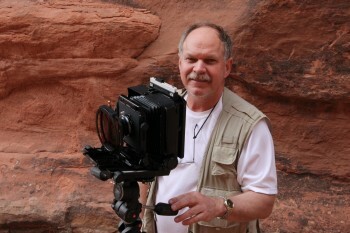 I have primarily used the large format camera since 2009. Some of my earlier images were captured with a 35 mm film camera. The small format film camera is no longer used, being replaced by a high-end digital camera when the need is appropriate for the smaller system.